Steph Z. won just over R82 000 on 22 February 2017 at Thunderbolt Casino. This 61-year-old South African struck it lucky with this win when he was playing the Triple Twister slot game that afternoon. Steph Z. is a regular player at the casino, but after around an hour of playing, even the casino manager was surprised with the big win. Alisa, Thunderbolt Casino manager, said that the game generates lots of nice payouts. But she has never seen anyone win over R82 000 in such a short space of time. Triple Twister is a five-reel slot game from RealTime Gaming (RTG), a leading software provider. 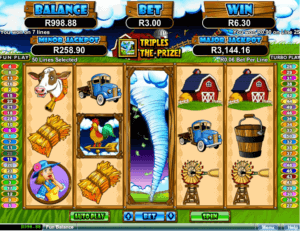 Gamblers in South Africa can play this game on their laptop and desktop computers, as well as on smartphones and tablets. If a player gets three or more Weather Vane scatter symbols in the game, a bonus round is triggered. There is also a Win-win feature that comes with the bonus round, ensuring that the gambler gets something out. A favourite among players of this game is the animated tornado wild symbol which fills the entire reel. 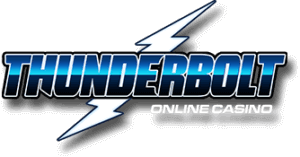 Gamblers in South Africa can look forward to choosing from hundreds of RealTime Gaming games at Thunderbolt Casino. Not only can players reach the casino on their computers, but its mobile casino version is also readily available. Thunderbolt casino makes casino banking easy for SA gamblers as games are played in the South African Rand currency. And finally, player support is available in English as well as Afrikaans. While Steph’s win is an indication that playing casino games online can be, in fact, lucrative, gamblers must always play for the entertainment. Chasing wins and losses is never a good idea as gambling can go either way. So, enjoy the fun and hopefully the odds will be in your favour.